Look! What are the two women making? They are making religious ornaments which are used for Buddhist ceremonies in Laos. 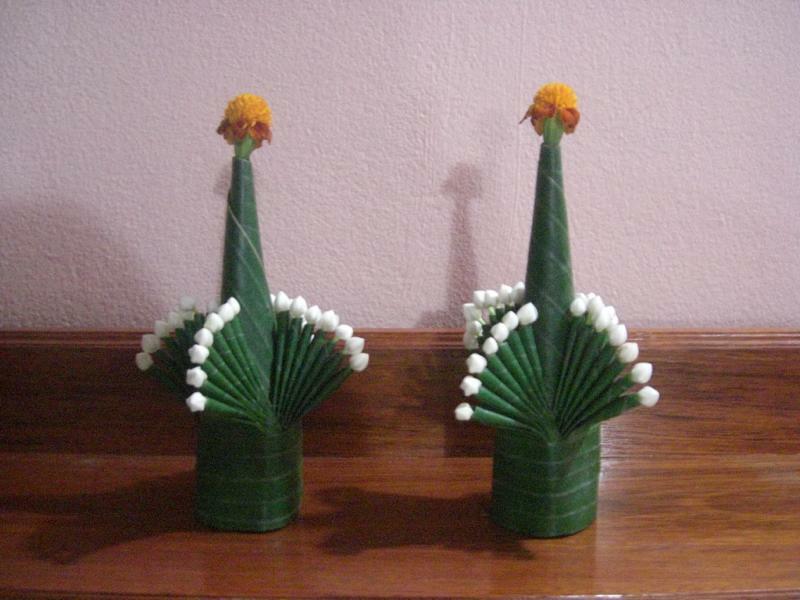 They are made of banana leaves. On top of the green ornament, they put an orange marigold and some small white orchids. They look “beary” beautiful. 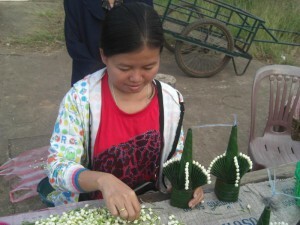 The women sell these ornaments on a street near their house. The banana leave ornaments are sold in sets of two. 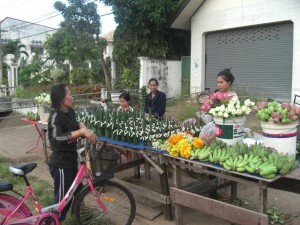 In Laos, in addition to the banana leave ornaments, they use lotus flowers for religious ceremonies. In Japan, people also put lotus flowers in front of the Buddhist altar. Lao Buddhism is different from that in Japan, but it seems that there is so much in common between Laotian and Japanese cultures. Anyway, banana leaves are versatile. 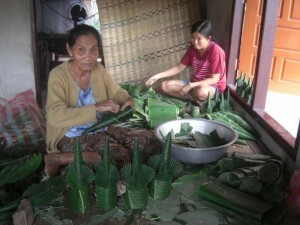 People use banana leaves in different ways in different countries. 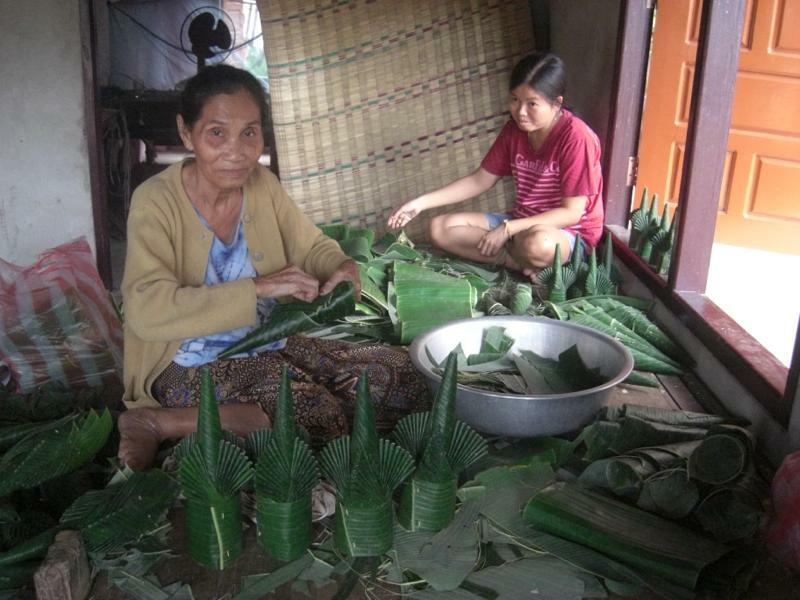 If you know of any interesting way to utilize banana leaves, please let me know by clicking the “Contact” tab on the EEN website. Be Empowered with Available Resources! Let’s BEAR!